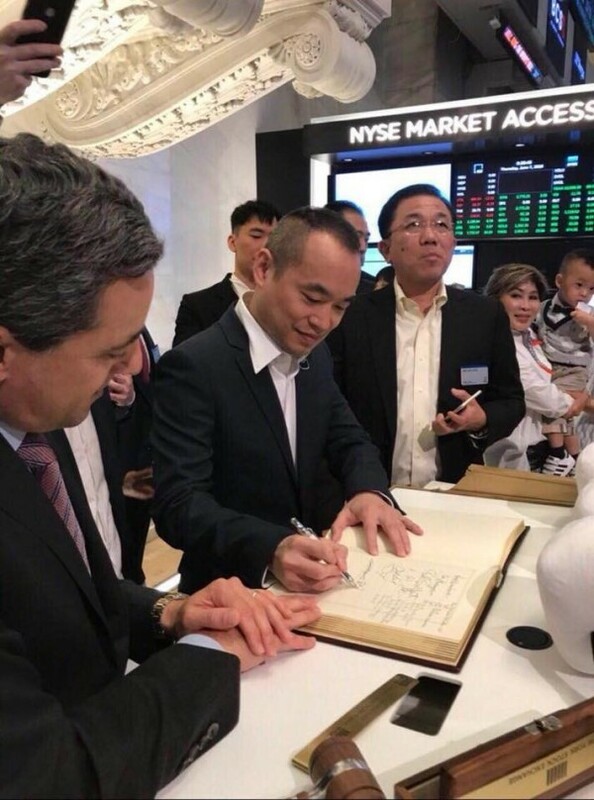 Jeffrey Huang's (center, signing the book) M17 Entertainment has postponed its New York IPO (photo courtesy of Jeffrey Huang's Facebook page). TAIPEI (Taiwan News) – Live streaming and dating app group M17 Entertainment announced Wednesday it was postponing its Initial Public Offering (IPO) on the New York Stock Exchange (NYSE) as it had obtained US$35 million (NT$1 billion) in private capital. The group includes 17 Media, the live streaming service founded by Taiwanese-American pop star Jeffrey Huang (黃立成). 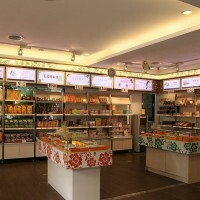 The news of the IPO delay follows the pricing of a share at US$8 (NT$239) on June 7. The company initially had planned to raise US$115 million (NT$3.4 billion) in American Depository Receipts (ADR), shares of foreign companies listed on the NYSE, but it only obtained US$60 million (NT$1.7 billion), reports said. By June 13, shares in M17 had still not started trading, while a movie clip showing company representatives attending the opening of trading had been removed from the NYSE website, the Central News Agency reported. On his Facebook page, Huang, a former member of 1990s boy band L.A. Boyz with his brother Stanley Huang (黃立行) and their cousin Steven Lin (林智文), launched expletives directed at two banks involved in the IPO, Citibank and Deutsche Bank, the Liberty Times reported. “NYSE: Number of years in existence: 200+. Number of listed companies: 2000+. Number of companies who rang the bell AND postponed listing on the same day: 1,” Huang wrote. M17 had a market share of 19.2 percent with 33 million users in the area comprising Taiwan, Hong Kong, Singapore, Japan and South Korea during the first quarter of the year, but was still posting losses, CNA reported. For 2017, those losses amounted to US$22 million (NT$657 million). In a statement, M17 said the new round of funding would allow the company to remain private as well as “lively” and flexible, while continue to expand its business in Asia. The new funds came from Infinity Venture Partners of Japan, Convergence Ventures of Indonesia, and Majuven Capital and Global Grand Capital of Singapore, the Apple Daily reported.